Clinging tightly to a crane 1,000ft up, this ‘urban explorer’ dare not look down. For he is perched at the top of London’s Shard, Europe’s tallest building, and it’s a long drop to the city below. 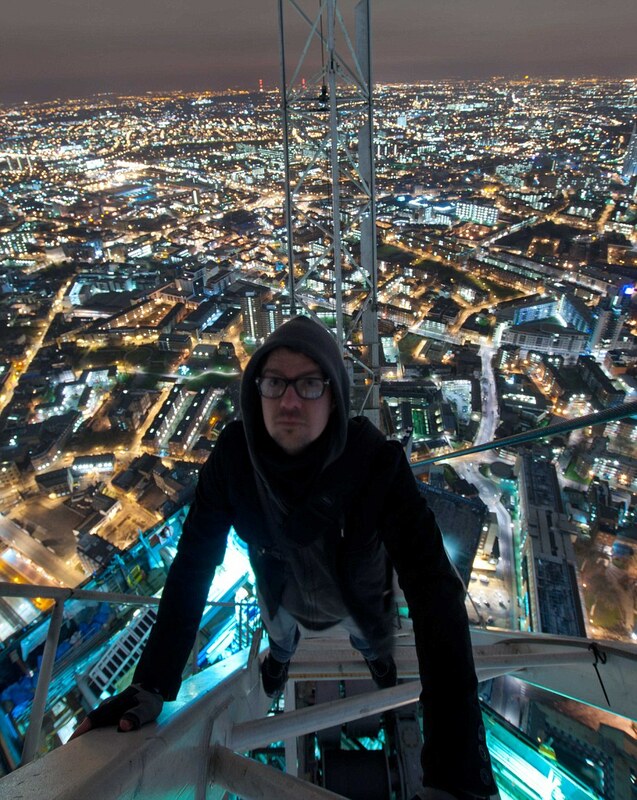 Bradley Garrett is one of a small group of urban explorers who sneak into London landmarks at night to explore skyscrapers or disused Tube tunnels despite the safety risks and possibility of arrest.